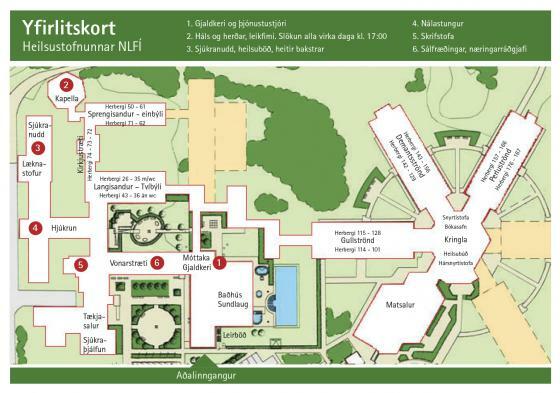 The room is at Langisandur and is about 30 square meters. 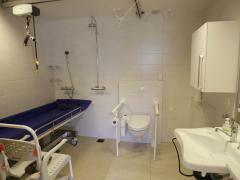 It features a range of special equipment including a specially equipped bed, specially equipped toilet and bathroom. Remote controls for lights and doors. 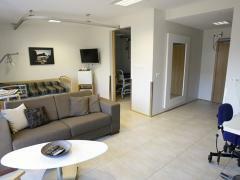 TV and a computer are in the room and a sofa bed for a family member. 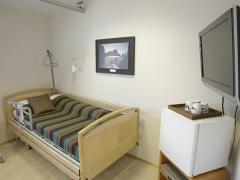 The room is called Maggý's room to commemorate Magnea Karlsdóttir from Hveragerdi who died from ALS disease. The Assciation the clinic's support team, led by chairman Ásmundur Friðriksson, created this special facilit with the help of numerous companies and individuals. 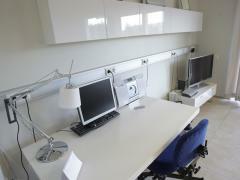 Price is based on medical rehabilitation. For a companion the rate is 3.890 kr. daily.